Madoka studied at the Showa School in Japan between 2003- 2005, and then came to England to study at the Rambert School. In 2006, she joined the Realm Dance Company in London, then the RODA Company in Leeds. 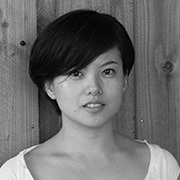 In 2010, she participated in WA, an event organised by the University of Musashino in Tokyo, and in 2011 she joined the permanent company of the Centre Chorégraphique National de Rillieux-La-Pape in Lyon.